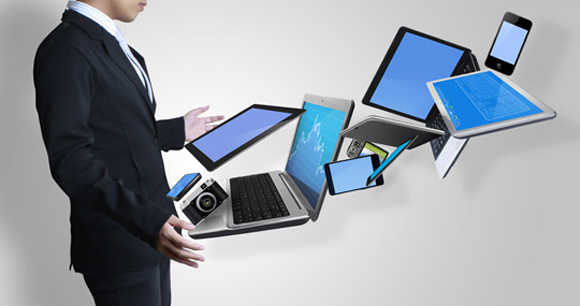 By measuring the pros and cons of adopting BYOD, is that 66% of companies highlight worker productivity. On the negative side, 41% say that the trend affects the cost management for mobile devices, 36% reported increase in support and 33% consider an increase in help desk costs. However, only half of the companies measures the specific impact achieved by BYOD separately from other types of business processes. Among the items examined, 60% measure the costs of software licensing, 53% evaluate the reimbursement for the devices of employees and 51% consider the cost of replacement devices. But overall, a survey found 15% reduction in the cost of replacement devices and 12% increase in employee productivity among companies that adopt BYOD. Also, found 8% reduction in reimbursements for expenses of employee data and 5% fall in the cost of training and courses. The study’s estimate is 7% growth in the cost of managing mobile devices, up 3% on the cost of security of business-critical data, 3% increase in spending on servers and 2% increase in spending for regulatory compliances.